As the Trump administration's Environmental Protection Agency reverses Obama-era regulations, newly confirmed administrator Andrew Wheeler is framing the rollbacks as less of an ideological shift than an adherence to federal law and free markets. "There had to be some changes made over the past two years to try to equal the balance back, away from some of the draconian regulations the Obama administration tried to do," Wheeler said in a March 5 interview, following his remarks during the S&P Global Market Intelligence Annual Power and Gas M&A Symposium in New York. The U.S. Senate voted Feb. 28 to confirm Wheeler for the top job at the EPA, a role he has held on an interim basis since July 2018, after his predecessor, Scott Pruitt, resigned amid a cloud of ethics investigations. Wheeler declined to assign the Trump administration a grade on its success at reviving the coal industry, but gave an "F" to the Obama administration by that standard, "so any improvement is an improvement." "I don't think it's EPA's job to pick what type of fuel we should use," Wheeler said, expressing concern that the government would choose to "tip the scales" in favor of certain technologies. "I think it's the government's responsibility to level the playing field and make sure that people are competing in a free market system." Wheeler said the EPA is regulating the coal industry under existing rules "in a fair manner." However, the structure of its proposed replacement for the Obama-era Clean Power Plan, the Affordable Clean Energy, or ACE, rule, could soon change. The EPA has not yet made a decision on whether to split the rule into two final rules, said Wheeler, though he maintains that one can function without the other. "I would hope to go final with the ACE rule sometime late spring, early summer of this year, so we'll be making a decision relatively shortly," said Wheeler. "There's no final decision, but the New Source Review reforms could be separated out of the ACE rule or we could move forward with both of them together. Whether we separate them or not, we're still going to do both." 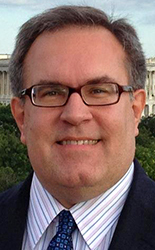 Wheeler justified the agency's freeze of Corporate Average Fuel Economy, or CAFE, standards at 2020 levels with the same economic freedom philosophy he said governed his opinion on fuel types, including coal, but also cited concerns over the practicality of achieving those standards. "We are not trying to social engineer," Wheeler said. "Right now, electric vehicles make up about 2% of vehicles purchased. In order to fully comply with the Obama CAFE standard, it would have had to eventually reach 30%." Wheeler believes that courts are on the EPA's side when it comes to changes to the Mercury and Air Toxics Standards, citing a 2015 Supreme Court ruling that he said was critical of the EPA's use of co-benefits. "We don't get that many Supreme Court environmental decisions, so when we get one I believe we have to follow what the court tells us to do," Wheeler said. "The logical outgrowth of this re-examination and where the Supreme Court was directing us was to get away from the over-reliance of the co-benefit to justify a regulation. I think the result will be a decreased use of co-benefits. You can still look at co-benefits and we will look at co-benefits, but the co-benefits should not be the driver of the regulation." Wheeler expressed doubt that Congress could reinstate MATS as it formerly existed. "I think another regulation would run into legal issues with the Supreme Court. The Supreme Court took a very dim view of the full benefits argument that the Obama administration made," he said. While Wheeler stressed a private sector focus at the EPA, he did not suggest the growing focus by investors on environmental, social and governance issues was going to spur action at his agency any time soon. "Anyone can reduce their footprint and their emissions on any time frame they want," Wheeler said, when asked whether corporate America's increasing shift toward green investing indicated the private sector was taking environmental challenges more seriously than the federal government. "We are using our statutory power and authorities to reduce CO2 as required," he added. "But there has not been climate change legislation passed by Congress."